YAVNE, Israel – Feb. 16, 2017 – PRLog — Correlata Solutions, revolutionist in Business Centric IT-management, and the Value Added IT-distributor Softprom by ERC announced signing of the collaboration agreement. 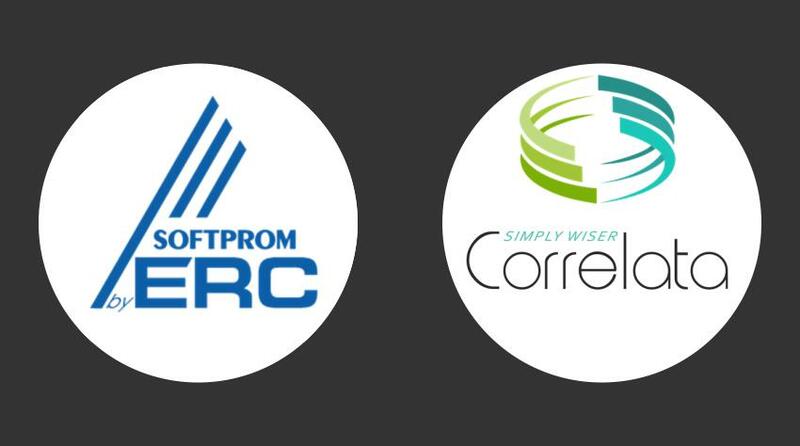 According to its terms, Softprom by ERC obtained rights to distribute and promote Correlata’s solutions in Austria, Germany, Poland and Russian Federation. Correlata is driven by world-leading IT and business experts, highly skilled in the IT operations and Data Center management who recognized the challenges that today’s dynamic Data Centers facing on existing management tools, with a vision of building innovative business centric solution based on analytics capabilities that are built from the ground to support these dynamic Data Center environments helping organizations to take control and maximize IT contribution to the company business. Correlata is a relatively young company. Established in 2010, it holds a lot of awards of years 2015 and 2016 and for sure is one of the most promising solution providers. “We welcome Softprom by ERC to our partners eco-system and we look forward to working with them and making sure that customers will get the best business IT solution and services. Softprom by ERC has specific, in-depth knowledge of the Datacenters / ICT landscape and will be set Correlata strategically within their solutions spectrum. This cooperation is quite unique in the local market and enable Softprom by ERC to provide the breakthrough innovative, solution all under one roof. Companies will now be able to get the best solution and services, from pre-sale to post sale, making sure that the companies will get the most of Correlata solution,” – added Ofer Laksman, Correlata CEO. “Nowadays all medium and large enterprises face a problem of inability to extract business indicators from technical metrics, that makes impossible to measure real efficiency. Correlata’s solutions completely change the way of IT infrastructure management. Correlata deals with the inherent silo-vendor effect, with a focus on exposing data loss and service availability risks that let Softprom by ERC to provide unique and complete solutions to our clients,” – mentioned Stepan Bilopol, Chief Manager of HW distribution at Softprom by ERC. With the ever-growing complexity of IT infrastructure, too many heterogeneous silo operation systems, and the lack of ability to see the big picture to manage complete infrastructure towards unparalleled efficiency affecting negatively organizations to expand quickly and efficiently. Correlata is the pioneer of Business IT collaboration solution, the most powerful platform for business IT leaders that will gain new insights into the daily well being of their business IT operations and detect organization’s vulnerabilities in advance before it will impact the business. Correlata provides a new business-centric IT management layer that transforms IT operations and service metrics into business metrics, helping companies gain the highest level of visibility and control on ALL their IT Infrastructure environments to senior management, ensuring companies use their Data Center infrastructure investments coordinating to their design intentions and business objectives. The company’s breakthrough technology is the first to solve the inherent silo effect in all current Data Center Infrastructure environments, by applying an advanced analytic engine with embedded and sophisticated rules. Correlata engine generates valuable information regarding wise usage of IT infrastructure investments, resource allocation efficiency, IT alignment to define SLA’s, service availability and data recovery risks – building a transparent ecosystem. Correlata ensures you’re not just up and running, but highly available, resilient per your design intentions and business objectives so that the companies will get the full benefits out of the existing systems that they already have purchased. Softprom by ERC is a Value Added IT-Distributor to which trust more than 1000 partners. In the 2016 year, Softprom by ERC opened door in the Poland and Europe market. Softprom by ERC was founded in 1999 and today has more 40-distribution contracts with the world’s largest vendors.